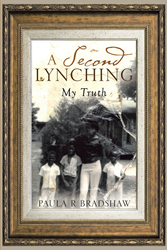 Recent release “A Second Lynching: My Truth” from Page Publishing author Paula R. Bradshaw is a chronicle of her family’s experience through seven generations, from an ancestor brought to America on a slave ship, through two centuries in the Deep South and her own encounters with entrenched racism in present day society. Paula R. Bradshaw, a lifelong resident of Mississippi, has completed her book “A Second Lynching: My Truth”: a deeply personal memoir of racism in the United States. Paula shares, “My story is based on true facts, chronicling the violations of civil rights which have been ongoing in my family since the 1700’s. In the mid 1700’s, my Great-Great-Great-Great-Grandmother, was stolen by Englishmen from a country in Africa called Cameroon in the northwestern province near the Nigerian border. She was a member of the Tikar Tribe. 1928, my Great-Great Uncle Emanuel McCollum, was dragged from his home in front of his wife and children by the Ku Klux Klan and taken to Richburg Hill, Mississippi and lynched. Constant civil rights violations still continue. Published by New York City-based Page Publishing, Paula R. Bradshaw’s book is a detailed and disturbing history of institutionalized racism as experienced by generations of one family in America. Readers who wish to experience this historical work can purchase “A Second Lynching: My Truth” at bookstores everywhere, or online at the Apple iTunes store, Amazon, Google Play, or Barnes and Noble.